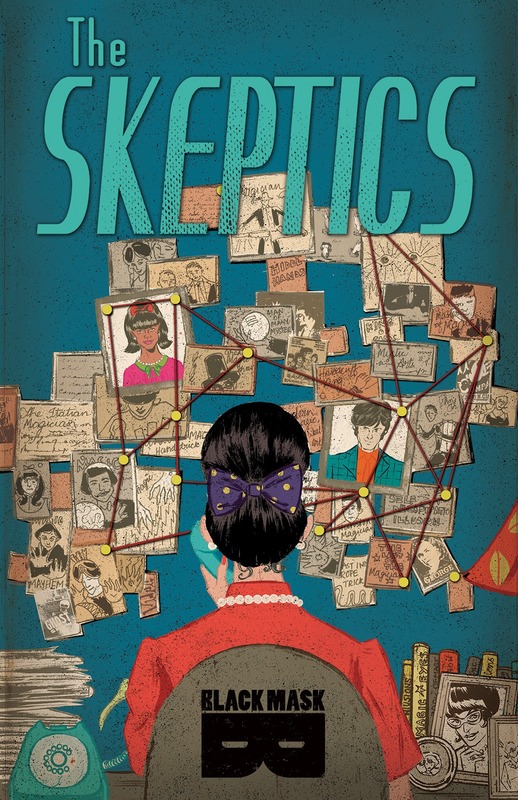 The Fellowship was fortunate enough to obtain a copy of THE SKEPTICS #1 from Black Mask Studios. The story is by Tini Howard, with art by Devaki Neogi, colors by Jen Hickman, and letters by Aditya Bidikar. We have been singing the praises of Black Mask Studios for a while now. Do yourself a favor and pick up this book and you’ll see why. Tini Howard delivers a smart and fun script, aided by the unique style of Devaki Neogi. The book definitely invokes the hipness and paranoia of the 1960s. A lot of questions were raised in this issue that I want answered. I recommend that you come along for the ride. THE SKEPTICS #1 is in stores now or available at www.blackmaskstudios.com.